It sure was nice to see Matthew Dear explode last year. Now, he’s back, and I just know I will be talking about his upcoming releases for the remainder of 2012, perhaps only for Morgan Beringer‘s video components alone. In this astounding video for “In The Middle (I Met You There),” featuring Jonny Pierce of The Drums, paint sploshes upon waves, waterfalls blur into stones. Where does liquid begin and solid stop? Where does solid begin and liquid stop?! No idea, but this seriously might be my favorite video in existence. It’s like all of the best parts of dipping a dirty paintbrush into a water, millions of times over, capturing the beauty but stopping before the purple-grey wash of overmixing taints the wonder. Below is a teaser video for “Headcage“, and you can download it from SoundCloud, as well. 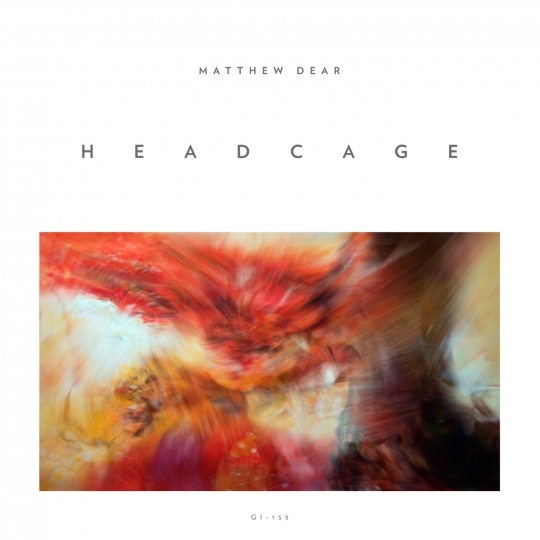 Matthew Dear’s Headcage EP. (available January 17th), stands as a testament to the New Yorker’s work as a relentless songwriter, producer and in a new light, collaborator. Working with other producers and vocalists as well as mixing/tracking at Nicolas Vernhes’ famed Rare Book Room studio has lent Headcage an openness and poise to the four songs presented here. Our last look at Matthew Dear’s creative cycle was the fathoms-deep starkness of his 2010 album, Black City. A triumph of slowly imploding romanticism, Black City was ultimately just another step in Dear’s creative evolution from his breakthrough Asa Breed (2007) and his Detroit-meets-Berlin minimal techno of Leave Luck to Heaven (2003). The vision found in this EP is a likely harbinger for Dear’s full-length, Beams (coming in 2012). “Headcage” leads with a dense, mutating cluster of breaths, whispers and assorted technicolor sounds until it coalesces into a hearty chug. The song gets an added aural heft from co-producers Van Rivers and The Subliminal Kid, a Swedish partnership notable for work on albums like Blonde Redhead’s Penny Sparkle, Glasser’s Ring and Fever Ray’s self-titled record. The unabashed melodic thrust of the lead vocals by Jonny Pierce (of Brooklyn outfit The Drums) makes “In the Middle (I Met You There)” one of Dear’s most perfect—and unique—pop creations. The first duet in Dear’s decade-long career, the dopamine flies when Dear’s baritone kicks in. “Street Song” forgoes percussion and propulsion for a drifting, intoxicated reverie of an exotic melodic phrase, bubbling bass and Dear’s falsetto. Something perhaps culled from a late night reverie heard from a window, or an imagined city long gone. “Around a Fountain” offers a dubby low end and claustrophobic atmosphere, but Dear’s voice leavens the darkness, rounding out the EP with hymn-like whisper. Matthew Dear’s latest audio/video excursion for “In The Middle (I Met You There)” comes again from London-based director Morgan Beringer, whose first abstraction was created with “Headcage” as the guide. The director gives us another heavily layered smear of what almost looks like thin sheets of ice changing color and patterns. The light continues to shine brighter than than Dear’s darker shades of 2010’s Black City.